Powerful electro magnet which ensures a firm clamping on the job surface. 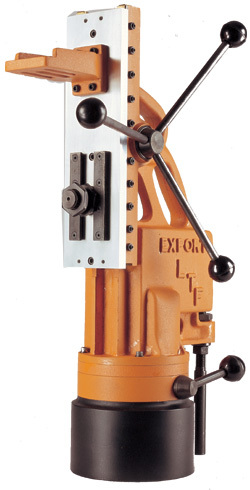 Suitable for on site drilling where jobs cannot be moved under the drilling machine. For accurate holes, any where. For fabrication of large structure. In steel structure layout of high rise buildings and for elevators. VOLTAGE – 220 V, 50 Hz.